?? ?Do you love new cooking games? 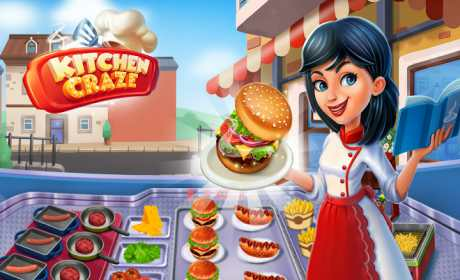 Then check out Kitchen Craze: Master Chef Cooking Game, one of the Play Store’s best new free to play cooking and restaurant simulations! ⭐The feverish cooking madness of Kitchen Craze: Master Chef Cooking Game will prove a challenge for even the greatest of Master Chefs. This fun restaurant game lets you practice your time management skills as you take over the kitchen in restaurants around the world. No cooking game is more fun, and no restaurant simulation is more accurate! ?NEW The Pizza Palace! Bake good pizzas and cook wonderful chicken wings in this Italian restaurant simulation! ?NEW The Dream Deli! Serve sandwiches while cooking tasty cookies in this fast food cooking simulation! ?The Sushi Spot! Prepare savory sushi and cook Japanese delicacies in this exotic restaurant simulation!
? The Burger Barn! Fry up the perfect burgers and cook hot dogs in this awesome food court restaurant simulation! … and so many more! ?Donuts! ?Seafood! ?Mexican! The list goes on! Become a Master Chef as your time management skills improve with each new restaurant and its own unique kitchen! ?Play offline or online, no internet connection required! ?Free to play forever, no purchase required! ?Serve a cast of crazy characters! ?Cook food from kitchens around the world! ☝️️ The fastest new cooking game on the Stores! Now with tapping! Dragging was sooo 2017!
? Share your scores on social media and show your friends why you’re the greatest cooking game player in the world! What are you waiting for? 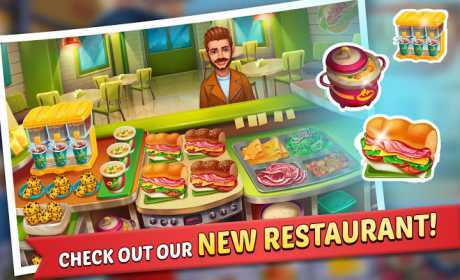 Download Kitchen Craze: Master Chef Cooking Game! and catch the cooking fever! Discover recipes as you embark on a journey of crazy cooking fun, building your time management skills and exploring the test of a true restaurant simulation! You’ll start at the bottom, but by building your kitchen and managing all the cooking madness, you’ll uplevel your chef game and build a true restaurant empire! 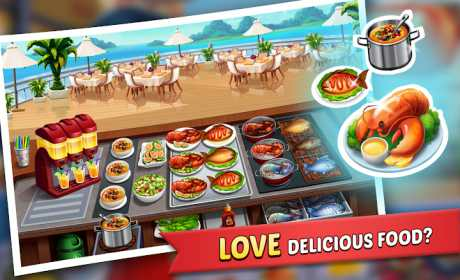 Download Kitchen Craze: Master Chef Cooking Game! now and reveal the clever twist that has made this fun new cooking game the leader among even the most popular cooking dash and time management games. Then you’ll understand why this cooking game comes from the makers of the Food Court Fever series, which has been enjoyed by over TEN MILLION PLAYERS.